Experimental responses to Leow Puay Tin’s 3 Children still very much cerebral works in progress. 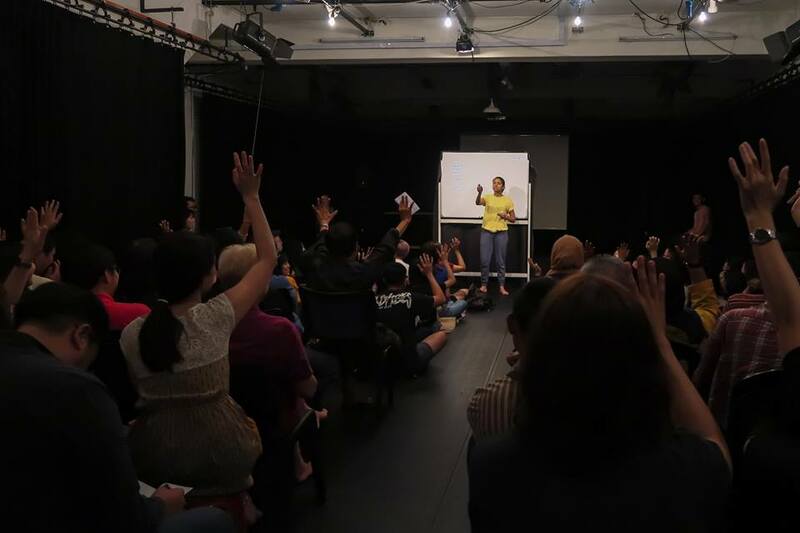 KUALA LUMPUR – Cross Causeway arts projects are always to be celebrated, showcasing the keen relationship Singapore continues to share with our closest neighbours. 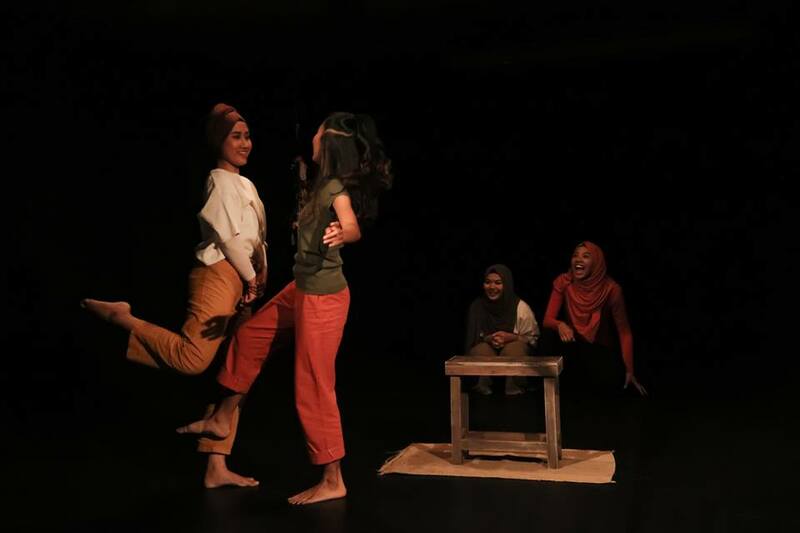 The most recent of these would be Malaysia’s Five Arts Centre and Singapore’s Centre 42 joint collaboration on Are You Game, Sau(dara)?, a double bill of new work from Bhumi Collective and Fasyali Fadzly presented in both Kuala Lumpur and Singapore this March. 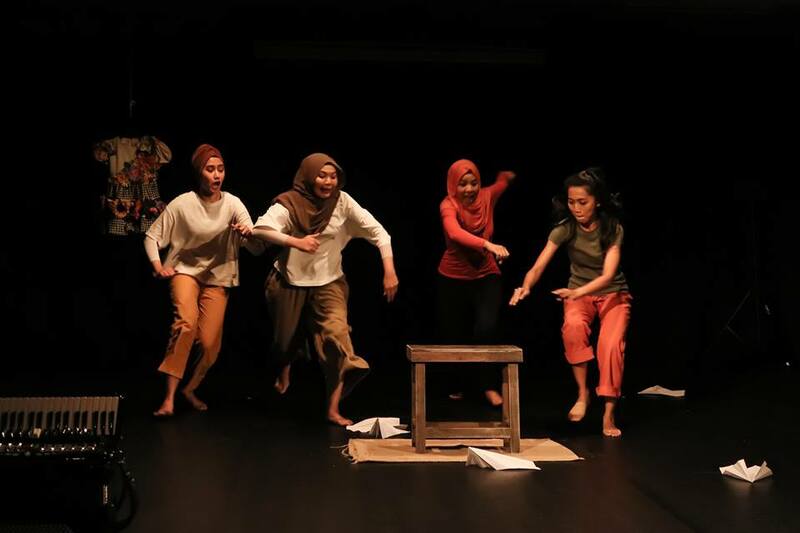 Inspired by Malaysian playwright Leow Puay Tin’s 1985 play 3 Children, with Soultari Amin Farid (Bhumi Collective), employing four Malay girls to share their own personal fears and stories in Sau(dara), while Fasyali Fadzly’s Are You Game? sees a breaking in theatre convention by performing a series of theatrical ‘games’. The performance opened with Amin’s Sau(dara), previously presented as a work–in-progress at Centre 42 last October. 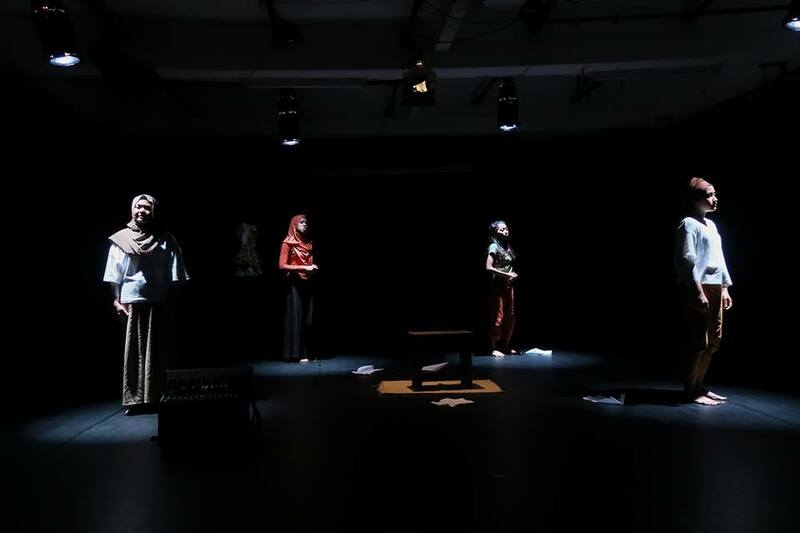 The performance features Lyn Hanis Rezuan, Suryana Norddin, Nurul Farahani and Syafiqah ‘Adha Sallehin, each onstage with their own spotlight. Each one highlights how they’re treated in society, often leading to them expressing their fears and traumas of drifting from their friends, of mothers treating them like little girls disallowed from making their own decisions or living their own lives, and each one troubled in her own way, burdened by the expectations burdened on a young Malay girl. Thereafter, they segue into a dream state where they see how their lives can and should be, returning to a simpler time by singing songs and playing games with each other instead. Musician Syafiqhah ‘Adha Sallehin picks up her accordion and plays a tune, the others respond with dance and movement, interacting with each other not via conversation, but almost as if via their souls, each one understanding perfectly what the other is doing, a physical response to the problems they have brought out. Amin’s choreography is rife with emotion here, and fills us with the pain and sadness each of them goes through. We think of each one of them struggling individually with their own internal difficulties, their movements distorted and flummoxed before coming to a standstill, the agony rippling through the small black box space. From here, the performance segues into familiar games, as the performers engage in a game of musical chairs, with all four of them fighting over a single seat in the middle of the space. One thinks of the constant struggles of life, and how there is only a single seat for the position of number one, and often, we get so caught up in the rat race, we end up using any underhand ways and means of winning where possible. We think about the scene in 3 Children, where a family is forced to give a child away for the sake of money, and we think of the regret and loss each girl has gone through, desperately grabbing at a floral dress (representing the lost child from 3 Children) and wanting to go back to before, a time when things were more innocent before. The performance ends with all four performers gathered around the chair, holding their hands above it, perhaps finding solidarity in their shared experiences as a double minority in Singapore (Malay and female), understanding that perhaps it is not competition that is the answer, but collaboration instead that will eventually, hopefully, save them from themselves as they trudge into the future. 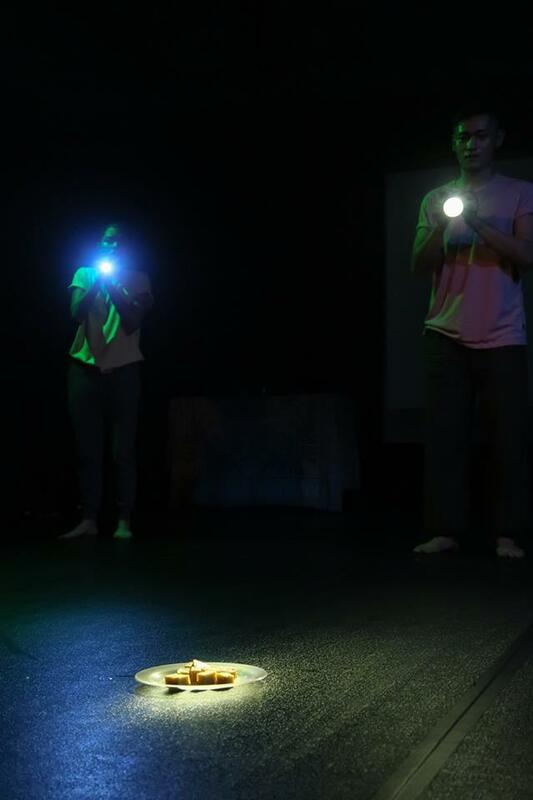 Sau(dara) was then followed up with Fasyali Fadzly’s Are You Game?, a work-in-progress, non-traditional theatrical work that utilised visuals, videos and games to bring out the themes prevalent in 3 Children. The performance begins as the three performers (Ali Alasri, Darynn Wee, Hannan Barakba) dance into the space – with the orange spotlight trained on them, they appear to be silhouettes as they reach the front of the stage. The series of games then began with a segment titled “Don’t Give Your Money”. Ali Alasri addresses the audience directly, asking to be lent money as he begs them for spare cash. 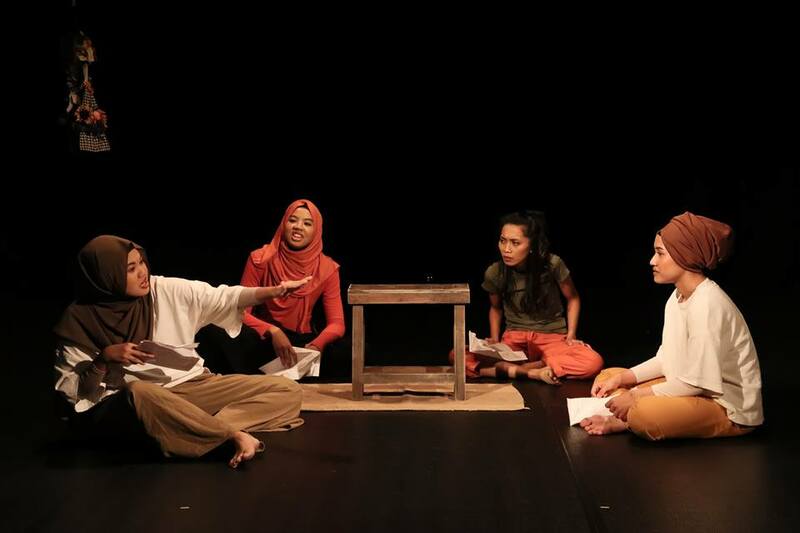 This segues into a scene where the actors reenact 3 Children’s story of the mother who gives away her child for money, bringing to mind issues of poverty and desperation in Malaysia, as prevalent then as they still are now, conflicted between morality and survival. Each performer then perform individual monologues on how they wish to express themselves – Darynn with a box of ‘toys’, and Hannan by asking audiences questions she puts together. 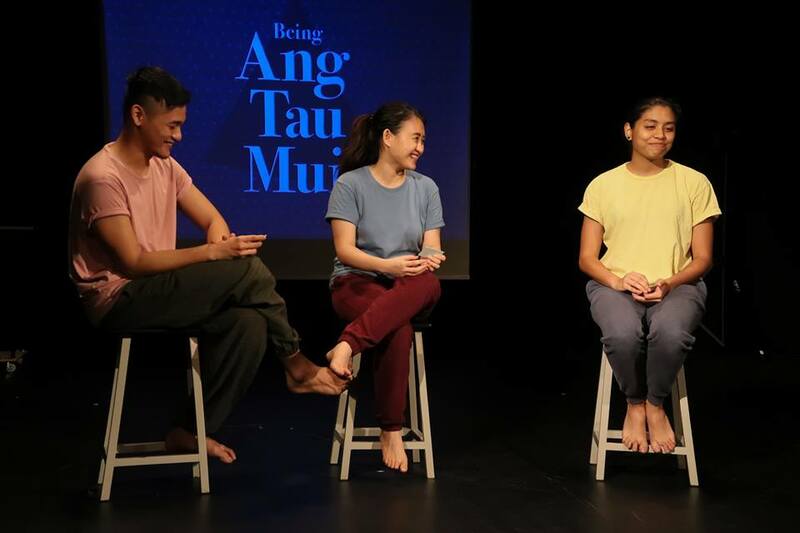 A segment titled “Being Ang Tau Mui” take the form of a talk show, as they attempt to transmit the body and soul of ‘Ang Tau Mui’ to the audience. Darynn then shares about her heritage and the problems of affirmative action in Malaysia – as a half bidayu half Chinese girl, she is not considered full bidayu, and therefore exempt from the scholarships reserved only for bumiputera, or the original people of the land. Her identity in crisis, she speaks of the difficulties of being a halfie, and her decision to lie her way as a full bumiputera in order to finally get a scholarship, a sad but familiar story for many people that showcases state-level discrimination and flawed notions of privilege and unfair advantage. Much of Are You Game?’s intentions are in the right place, in using the concept of play to return audiences to childhood, making them feel comfortable and bringing up these surprisingly dark and dreary social issues in an accessible light for them to reflect on as they go home. But what is lacking, unfortunately, is the nature of the audience participation itself, hampered both by an unruly, disruptive crowd and the lack of ease in creating organic responses, hindering the pace and message behind what might otherwise have made for an interesting conversation topic on the marginalized in Malaysia. What Are You Game, Sau(dara)? does is to take the most abstract of ideas from the original text of 3 Children and apply them to contemporary society and modern people, making the issues of abandonment, poverty, and marginalization relevant to a new audience. Above all, it is interesting that both directors have capitalized on the concept of play to soften the blow of otherwise dark social flaws to create work that is accessible and important to think about and reflect on in our daily lives. 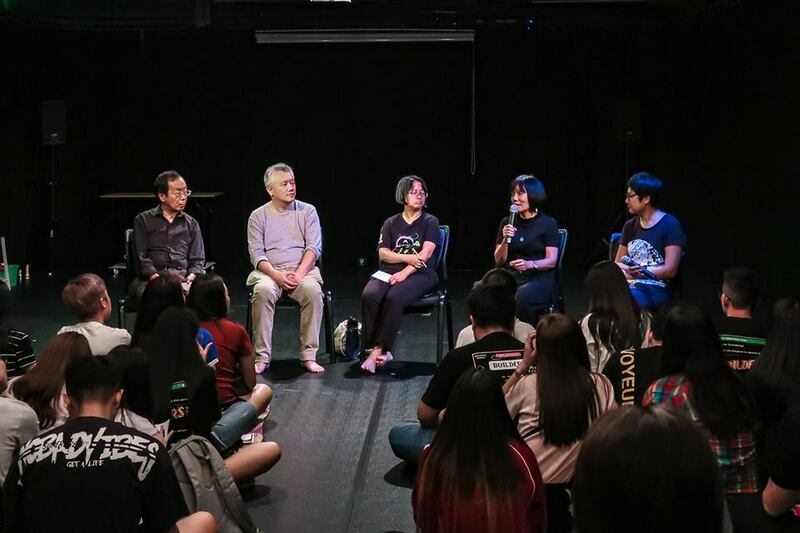 With a successful first collaboration between Centre 42 and Five Arts Centre, one can only hope to see more of such innovative projects come to fruition again in future, and for this keen cross-Causeway relationship to keep going strong. Are You Game, Sau(dara)? played at Kotak@ Five Arts Centre in Kuala Lumpur from 1st to 3rd March 2019.